As a fresh week begins we have the European Nintendo Download Update details to consider, showing us the digital goodies on the way later this week. This time around it's the Wii U that gets most of the new content, with some DLC and discounts also on the list - let's get to it. 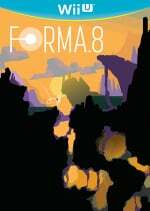 forma.8 (MixedBag, €14.99 / £13.49, or €12.49 / £11.29 until 23rd March if you have downloaded the [email protected] demo) - A passion project from the Italian development team that's been in the works for a few years, this is a stylish puzzle exploration game that tells its story rather subtly. We'll have a review with you prior to release, and until then you can check out our interview with the developer. 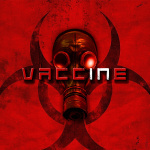 Vaccine (RNC, €9.99 / £8.99) - From the development studio that produced FreezeME, this title provides a twist on the earliest Resident Evil games in particular; we're looking at a fixed camera perspective as you move between rooms. It takes place within a large house and gives you a choice of two characters; you have a limited time to find a vaccine for an infested friend. On top of that you have to solve the 'mystery' of the house to truly solve the problem - we'll pay this property a visit for review. WALL BALL (RCMADIAX, €1.49 / £1.39) - This is an endless runner that aims to do the job with simple yet appealing 3D graphics. The levels are randomly generated and a long lasting gaming experience is promised. 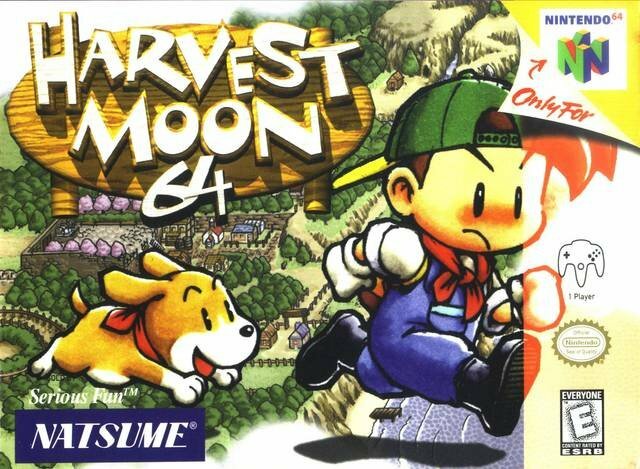 Harvest Moon 64 (Natsume, €9.99 / £8.99) - Here's an interesting release; not only did this N64 title not come to Europe back in the day, but there was a fear plans for it to come to the Virtual Console were also shelved. Here it is, nonetheless, giving a 64-bit take on the usual scenario of taking over and managing a farm through the seasons. We'll dust off our farmer's hat and head out into the field for a review. Oh my word! Harvest Moon 64? Dagnabit...I'm gonna have to buy that. Wow, Wii U giving us one last surprise. oh man Harvest Moon 64 has a lot to answer for not only did it absorb countless hours of my life but it created a weakness that it's decedents have repeatedly exploited. Now I'm torn I want to spend the last 2 weeks of the Wii U's life clearly my backlog but I also need this! Think I'm going to wait and see what the Switch's VC looks like, if there's no Harvest Moon 64... then I guess my Wii U will stay plugged in until harvest moon finishes reabsorbing me. I'm kind of on the fence about buying Wii U/3DS Virtual Console stuff right now, nice as it is to see anything come out at this point. I'm waiting to see what the situation will be on the Switch. Guess I might as well get Hogan's Alley to play with the Wiimote pointer though. I can't really justify any purchases given the amount I'm spending next week on a Switch and Zelda, sadly. Oooo I bet the Switch will be on the list next week.We at least know there will be 1 or 2 E-shop games but what else do they have in store for us?I think we'll be finding out this week in the inevitable Switch Direct. I really want to know what the technical difficulties for getting Harvest Moon 64 released on VC were. 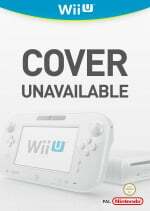 To think, next week could be the last update to the store for Wii U! I cant remember what the last day for Wii was like. Awwhhhh yessss Harvest Moon 64 colour me excited!!! Did somebody say Harvest Moon 64? A great Harvest game, but, having played it previously AND just picked up New Leaf - late, I know - for my New 3DS, I'll be passing this time. Those who pick it up however, kudos. Date for Harvest Moon 64 VC USA version ? If the Switch wasn't coming out with BotW in a week, I'd get Harvest Moon. But not like this, sorry. @Anti-Matter We don't know yet, but we might get information this Thursday as it is when the American releases gets detailed :+). (Sometimes Wednesdays for VC releases). Wow some of these discounts are too good to be true. 0.20p savings. Wow just wow. Any new releases for wii u are a bit late in the day now, especially at the prices of this weeks releases. I think I've made my last wii u purchase unless there's a massive fire sale which I would have expected to have happened already to be honest. Harvest Moon 64 is a very solid entry in the HM franchise, and I'd buy it right away, if I had a Wii U. Now, let's hope they release Harvest Moon GBC 3 on the 3DS Virtual Console too! I wish Mario Kart Wii had been released on VC by now. Because GBC releases on 3DS VC are so common, right? It's bound to come any week now given all the other new GBC releases on 3DS VC. Annoyed that Harvest Moon 64 is released now. No point in buying it with Switch here in two weeks. I hope Vaccine reviews well. I am going to be INFURIATED if the US doesn't get Harvest Moon 64 this week. Absolutely love that game but never considered it a Virtual Console candidate given it never wound up on the Wii. I'd gladly throw $10 at being able to play it whenever instead of having to hook up the N64 to do it. I understand Infinity Runner is still broken, that is, the last story level hard freezes the system during loading? (Takes a look at the box art...) Hey....They didn't pull a Kirby on us back then and switched the little guys joyful smile into a badass scoul to make the game "appeal" to Western gamers did they? Offtopic, but my biggest surprise, frankly, has been finding a meaty rendition of forma.8 the other day... in the LittleBigPlanet 3 community content of all places. That game's editor toolset is nothing short of impressive indeed. That box art is so cute. Oh well, good for Harvest Moon fans. And they said HM64 was never coming to the VC...tease! Now I just need it on Switch for portability. If I wanted to play it at home I would just fire up my N64. If you haven't played this and you're an HM fan, do yourself a favor and get this. It may not have all the bells and whistles of the newer entries, but warts aside (mainly translation errors) its one of the best pure HM experiences. My personal favorite. No way I'm going to be downloading anything for my Wii U/3DS when Switch launches in 11 days and there seems to be absolutely no way purchases will carry over. I'm really hoping for a great VC experience on the Switch - would be great to take all these lovely games wherever I wanted. Definitely getting Harvest Moon 64 when it comes out on the Wii U Virtual Console in North America. @ya_boy_six They did but it's kind of understandable, the Japanese box art is pretty shaky and bland. Plus Japanese N64 cases were very different anyway, more vertical than horizontal, so it wasn't really often games would share cover art. Never gonna happen, but wouldn't it be AMAZING if next week Nintendo was just like, "Oh, and by the way - the entire Wii U VC library will be available on the Switch at launch." This is a horrible update but the hype is real that next week we'll (probably) see Switch on the list! I'm glad so many are enthusiastic about Harvest Moon 64. That was probably one of the most played N64 games in my family, back in the day! I'm so excited for harvest moon 64! I assume they'll be removing the alcohol from it though? @SLIGEACH_EIRE ................My toad senses tells me otherwise. We only waited a week for Ogre Battle 64. NoA is staying on the ball with releasing newer VC games shortly after UK gets them. Huge surprise, especially after they said a release on the Wii VC would not be possible. Maybe they couldnt compress the game to fit the Wii's 40MB download limit or were able to make whatever changes needed that stopped a release? @C-Olimar They didn't from Friends of Mineral Town so don't see why they would. Love Harvest Moon 64! I still have the box and manual but not the cart. Instant purchase when it comes to NA VC. GAH!!!!!!! I really wanna try HM64, but I've sworn to not buy anymore Wii U VC games due to the Switch releasing soon. I'm so torn. @Angelic_Lapras_King The issue I've always heard HM64 has on a lot of emulators that might've also been the problem on the Wii is it crashes when it hits the first day of summer. Actually, semi-related note on the Virtual Console - given they delisted the DKC games on the Wii the day the Wii U came out, people who want those might want to grab them before the Switch releases just in case. @Lizuka I doubt that since the DKC trilogy was released again on the 3DS just last year. They probably sorted the issue out whether it was rights or whatnot. Can't wait for HM64 to take six months to be released in NA! Yes, Harvest Moon 64! Though I'm in the U.S.A., I'm glad to see this as now there is a chance I can get this down the road. CONSARNIT, NINTENDO LIFE. IT CAME OUT IN NORTH AMERICA TODAY, TOO. WHY DIDN'T YOU MENTION THAT?! Also, for anyone holding off buying this cause of Switch Virtual Console, please note that was delayed and won't be present at launch. Expect it mid-2017 cause, as per the case with their recent consoles, Virtual Console services usually don't kick in until four to six months after launch. So, speaking of kicking, stop kicking yourself to wait for the Switch Virtual Console and buy this for your Wii U already. I first experienced this glorious game on a real N64 a year ago, was also the first time I ever played it, and the nostalgia glasses did not blind me at all. I chose it as my new favorite over the one I played when I was younger cause it was just that good of an entry.